Purchase orders can be directed to a job as long as the GL account used is an expense or cost of goods account. 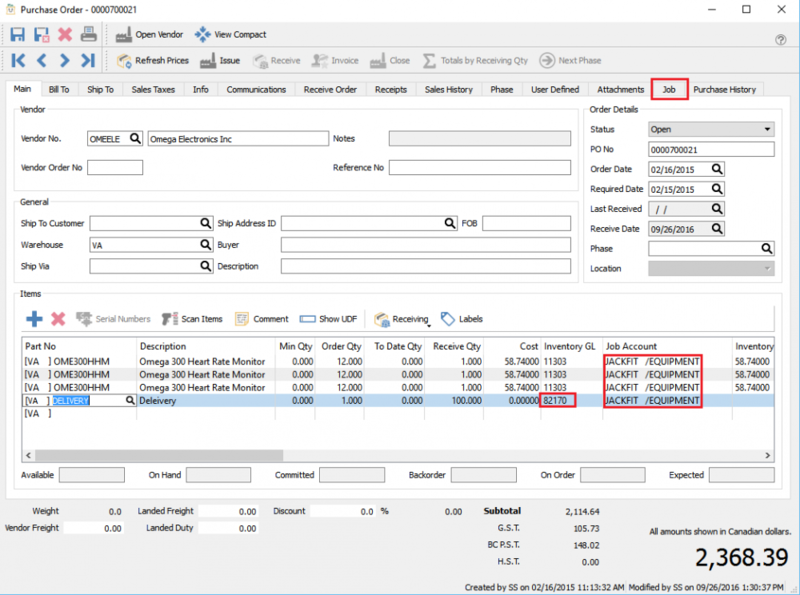 …or the user can select a job for each line of the purchase order. If there is a job/account set for a non expense line then it will be ignored.